What are the differences between regular and Let's Encrypt SSLs? 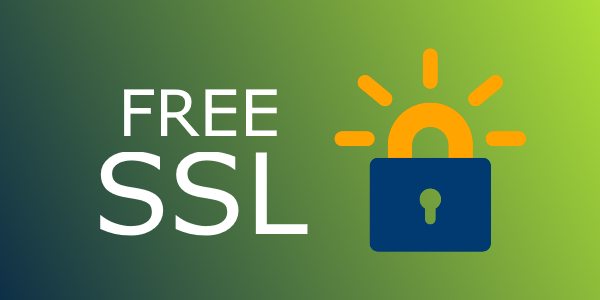 Let's Encrypt offers you a free and automated way of obtaining SSL certificates for your sites, so you may ask yourself: "Why would I ever go with a regular SSL certificate?". Just like regular SSL certificates, Let's Encrypt certificates offer basic SSL encryption, i.e. they give site visitors assurance that they are exchanging information with the domain that is visible in the address bar and that their personal data (login details, credit card information, etc.) cannot be eavesdropped. Also, Let's Encrypt certificates are trusted by all major browsers. If a site is using a Let's Encrypt SSL, you will see "https://" at the beginning of the URL in your browser's address bar, along with a green padlock. So, what Let's Encrypt certificates offer is secure communication most site visitors will feel comfortable with. Validity Period: Let's Encrypt certificates are only valid for 90 days and must be renewed before they expire. Most regular SSL certificates are valid for at least one year. HTTPS site owners can also choose a longer validity period (3, 5, etc. years). On our platform, Let's Encrypt certificates are renewed automatically, so you won't have to worry about that. Support: Let's Encrypt does not offer assistance with creating or installing SSL certificates. Only community help is available.This can be an issue for organizations that need to quickly equip their business sites with an SSL. However, this could be easily curbed with a quick re-generation and re-installation of the problematic Let's Encrypt SSL. Both Let's Encrypt and commercial SSLs will do the encryption job that is expected of them in order to protect your sites against interception and eavesdropping. If you own a non-commercial site, a blog or a photo gallery, or just need a quickly configurable, simple and free SSL certificate that you can obtain with minimum effort, then Let's Encrypt is the way to go. Due to Google's recently voiced intent to give HTTPS sites higher search rankings and the subsequent rise of authorized SSL resellers, the prices for commercial SSLs have been going down steadily. We've already lowered the prices for both regular and wildcard certificates and are doing our best to make sure you get the best security insurance on the web. How do I enable a Let's Encrypt SSL certificate for my site? You can request a Let's Encrypt certificate for your sites with a click from the Hosted Domains section of the Control Panel. The 'Request Let's Encrypt SSL' option is located at the bottom of the list of SSL options. Once you've selected the Let's Encrypt option, just click on the Edit Host button and allow a few seconds for the certificate to be generated. NOTE: Make sure you've selected a shared SSL IP address (or a dedicated IP, if available) from the IP Address drop-down menu. That's it! The Let's Encrypt certificate has been installed on the selected domain name. That's it! You will now see a green padlock in front of your domain in your browser's address bar. NOTE: Since the Let's Encrypt certificate generation process involves domain/DNS validation, a domain needs to have valid NS records in order for the validation to go through. For this reason, if the 'Do Not Manage DNS' option is enabled for a given domain, the Let's Encrypt feature will not be visible.